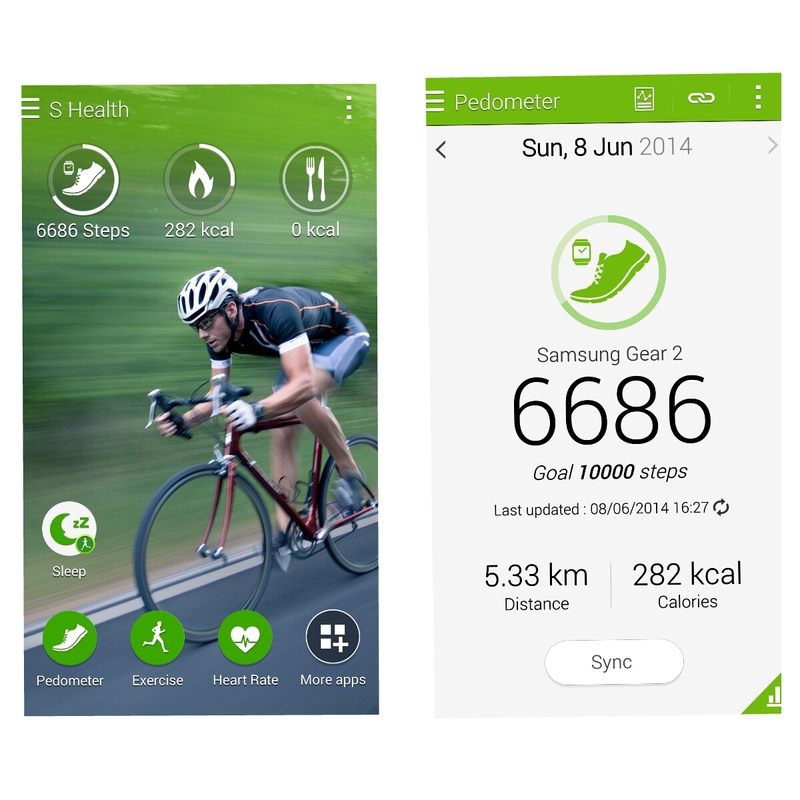 How to use your Gear 2 and the new Samsung S5 Applications to help achieve your Fitness Goal! The Samsung GALAXY S5 LTE comes with a built-in application – the Enhanced S Health app, which helps to bring all your fitness data together in a personal fitness tracker. It is able to sync with a few other applications to help you stay on your fitness track! This includes Lark, RunKeeper and MapMyFitness… all of which function as personalised trainer apps. S Health which helps to bring all your fitness data together. It is able to sync with a few other application to help you stay on your fitness track! 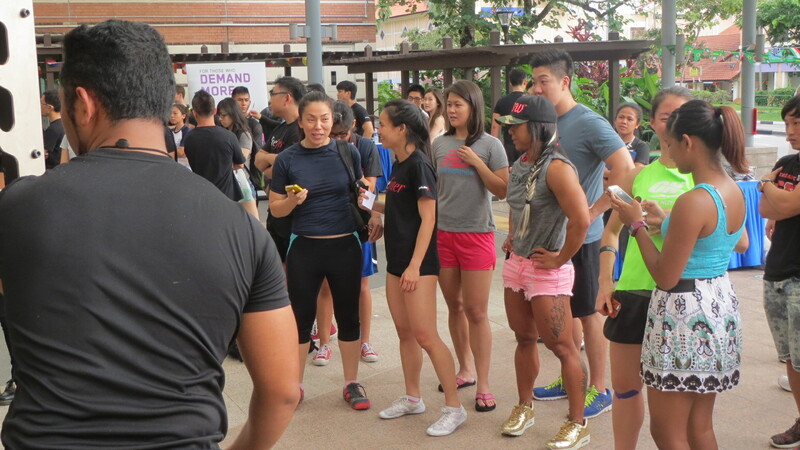 Exercise function, must say that the GALAXY S5 LTE and Gear 2 will be your best running companions ever! First of all, both the GALAXY S5 LTE and Gear 2 are water and dust resistant with IP67 rating so you don’t have to worry about sweat or drizzle when you are on the go! It can track the heart rate, the distance covered, running routes you take, how fast you go and most importantly, you can set your personal goals and the Enhanced S Health app will constantly remind you to keep up with your chosen pace. There’s also the Pedometer, which can keep track of how many steps you take in a day! For me I set a goal to hit 10,000 steps everyday! So if I am not able to hit it, I will go for a quick walk around. This really helps a lot, especially for people who are always driving or always in the office. You can add a good 10-20min daily workout to hit the target number of steps and release some stress! Sleep tracking is another very important function to me – because not only do we need to sleep for 8 hours a day, we need quality sleep during those 8 hours as well. Sleeping from 12am to 8am is 8 hours of rest; however, if you are constantly moving during 50% of the time, your body is not fully at rest! In extreme cases, I would even suggest getting some sleep aid like ZMA supplements or have some hot chocolate before bed to improve your sleep. So far, I do not have any sleeping problems. In fact, I’m motionless 80% of the time. The only problem is that I am not getting enough sleep every day, so to improve my sleep I will try to sleep earlier!! Lark – Your Personal Wellness Assistant, which provides easy personalised recommendations on how to be fitter and healthier. GALAXY S5 LTE users receive free 12-month premium Lark services (worth S$45). RunKeeper – Turn your GALAXY S5 LTE into a personal trainer in your pocket. Track your fitness activities, measure your performance over time and share achievements with friends. GALAXY S5 LTE users receive free 12-month membership (worth S$25) for RunKeeper Lite. Skimble – Workout Trainer provides thousands of multimedia workouts led by expert coaches. Workouts come equipped with dynamic move-by-move videos, photos and text instructions. GALAXY S5 LTE users can enjoy a free 6-month Pro+ premium membership experience (worth S$52). 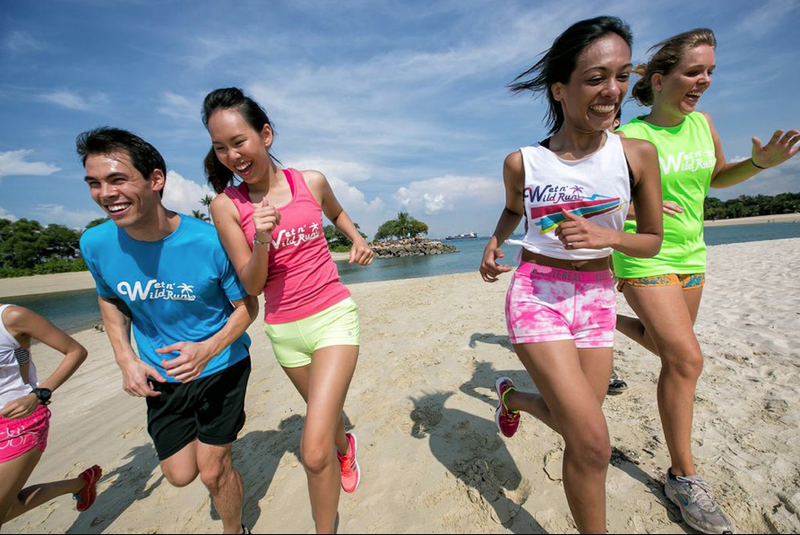 MapMyFitness – Built to help runners, joggers and walkers of all ability levels and ages. Easily track pace, distance, calories and time with audio alerts and much more. Track running, cycling, and over 600 types of other activities. GALAXY S5 LTE users receive free 6-month ad-free MVP access (worth S$45). Author heechaiPosted on 8 June, 2014 18 April, 2018 Categories Article, Workout TipsTags how to use your samsung gear 2, how to use your samsung s5, samsung fitness, samsung gear 2, samsung running, samsung s health, samsung s health sleep, samsung s5, samsung singapore, samsung tracking healthLeave a comment on How to use your Gear 2 and the new Samsung S5 Applications to help achieve your Fitness Goal! 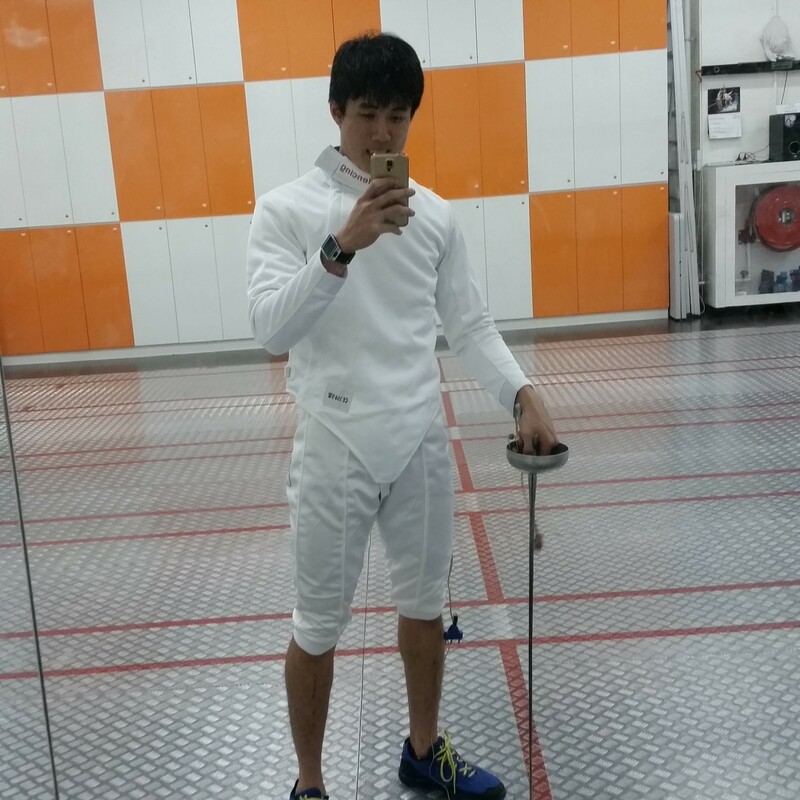 I was invited by Zheng Gang for a trial at Absolute Fencing Singapore. First i was introduced to the 3 types of weapon that is used in Fencing. There is 3 different Sword for 3 different kind of playing rules to follow, it will be the Epee, Sabre and Foil. I Always wanted to have a sword fight when i was young but i never had a chance to do it. The First time i got my hands on Foil, i am hooked. i was pretty worried and excited at first, as i always thought fencing is a very technical sports and it will be very hard to play and partly due to my slow reflexes as well. However its really fun and easy to learn! The adrenaline rush that i got during the game feels fantastic, your mind is constantly moving, thinking when to attack or to dodge an attack from the opponent. Plan a fake and strike! 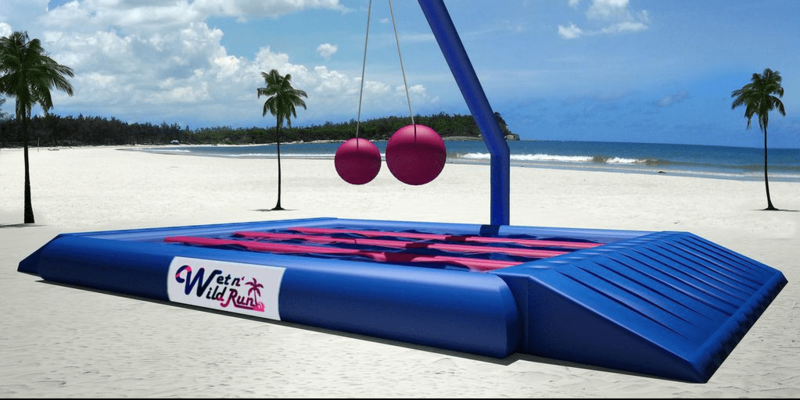 This could be one of the best way to Distress! Get a few of your friends or “friends” and i believe you will have lots of fun! Cant wait to go back for another session soon! 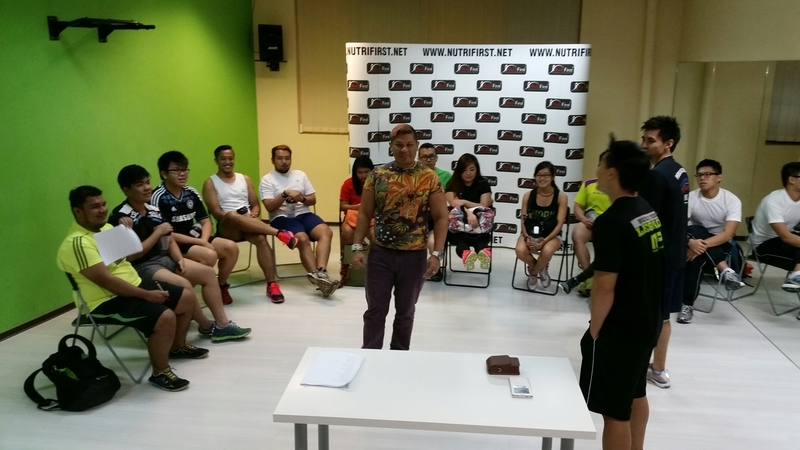 Absolute Fencing is the one of the pioneer fencing school in Singapore. 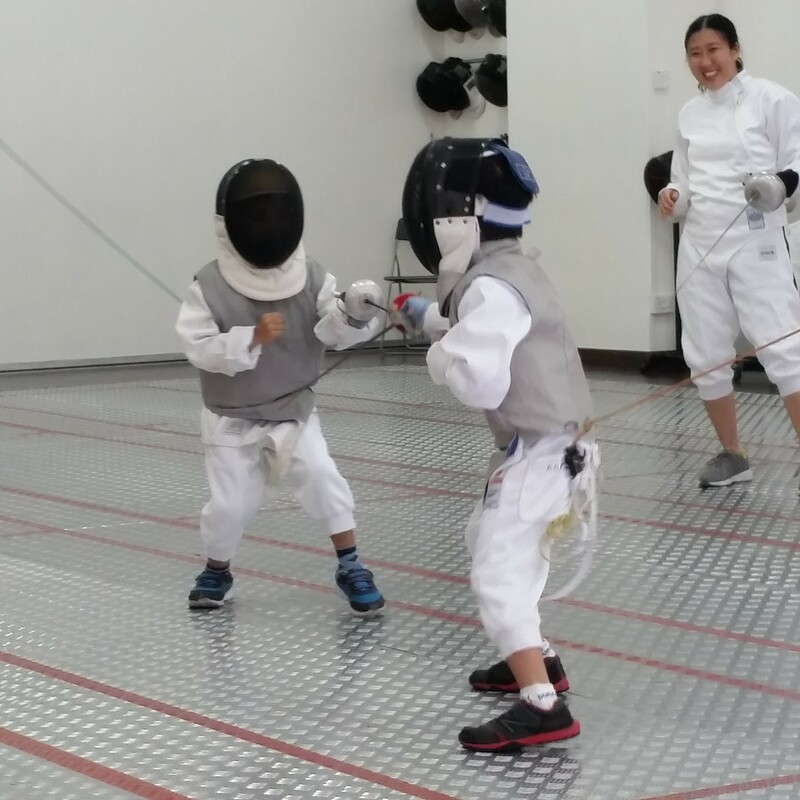 Lead by top Fencer in Singapore, be it training for competition or for people who want to take up the sports for recreation purposes. You are definitely in good hands. 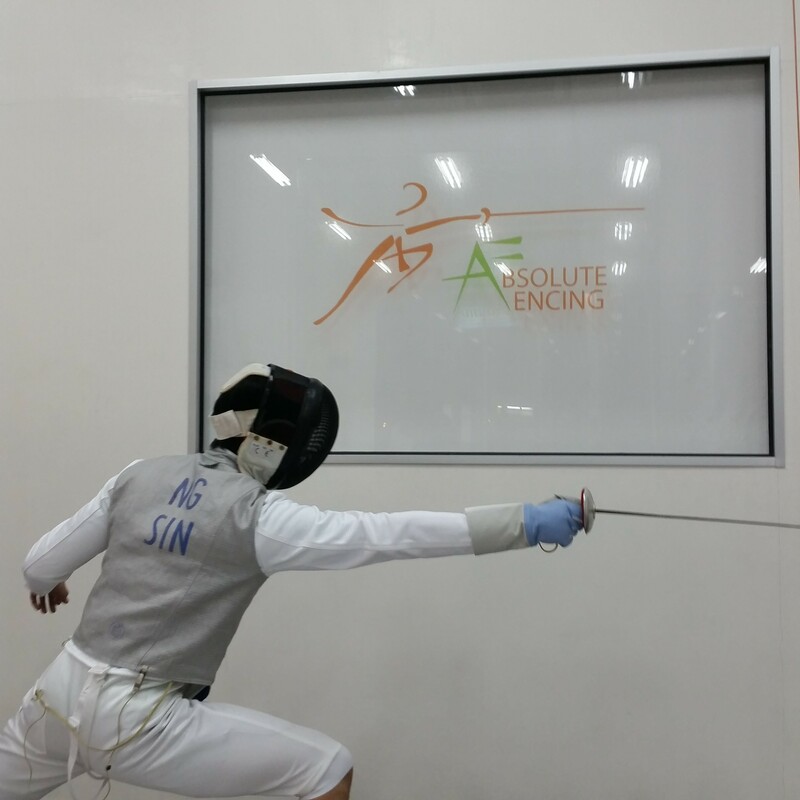 Absolute Fencing is located at 18 Boon Lay Way #01-127 18@TradeHub 21 you can get your direction here. 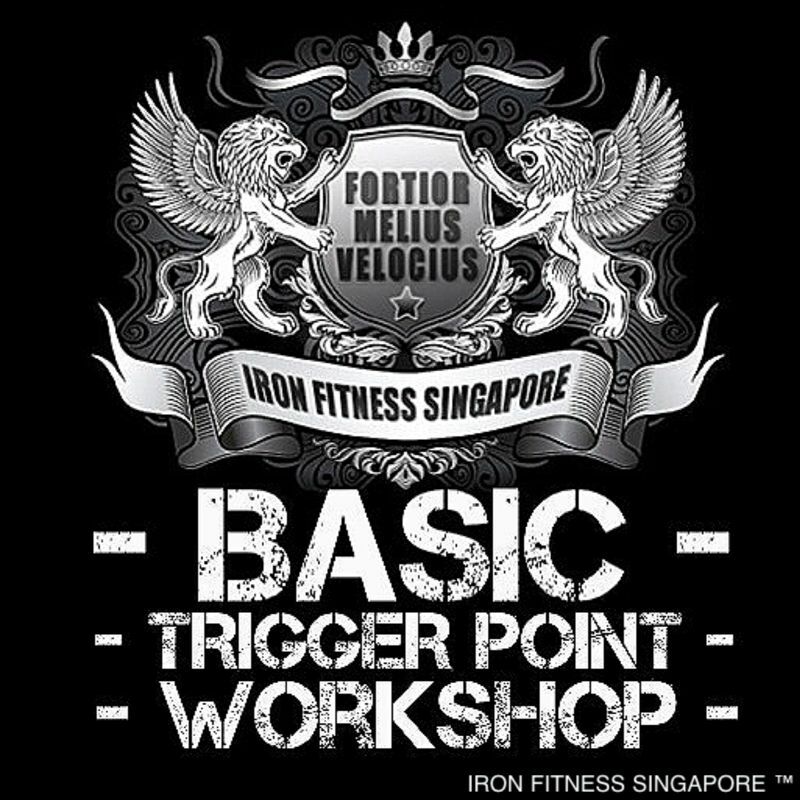 There will be 2 workshop starting soon this holiday! Do call them to sign up now! 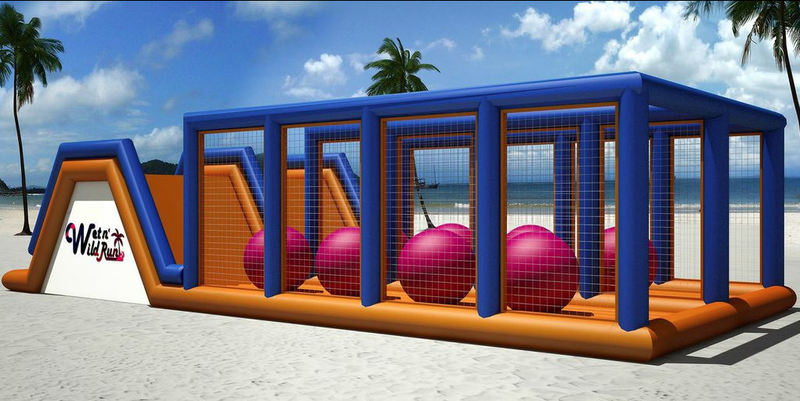 Bring your family and friends down for a trial today! You can get them here! 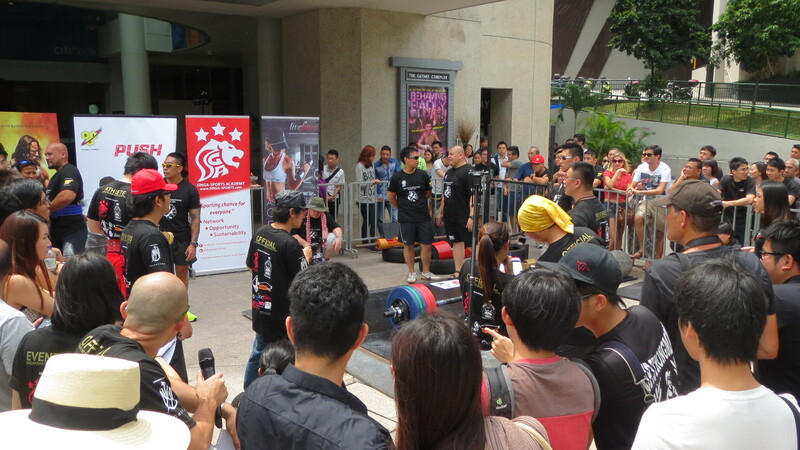 Physio and Rehab – MuscleTrac Singapore! A simple to use and effective roller to bring along! I bet you have seen this in many physio clinic or gyms that promotes rehabilitation. You can read more about the muscletrac roller here. I have been actively doing trigger point release for the past 6 months and it has been working pretty well for me, i have been sharing how trigger point release helped me in my rehab of injuries. 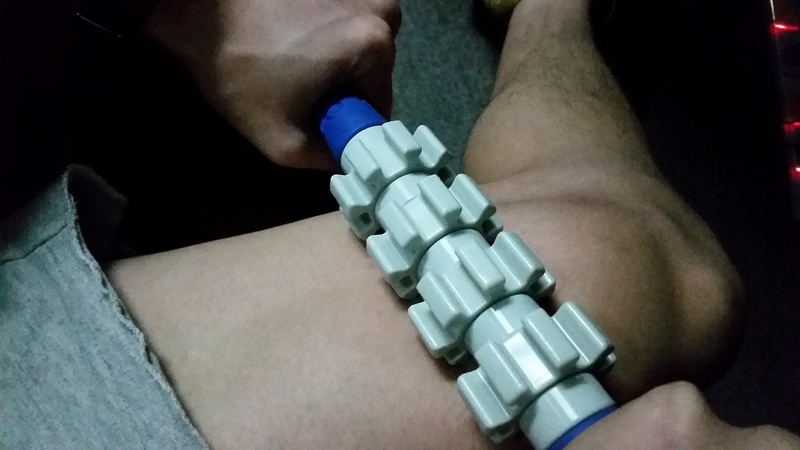 Most of the time i will be using a Lacrosse Ball or foam roller to release the fascial. Today was my first hands on experience with this roller, it is not the best thing to use if you are alone but it is the best if you got a partner with you. 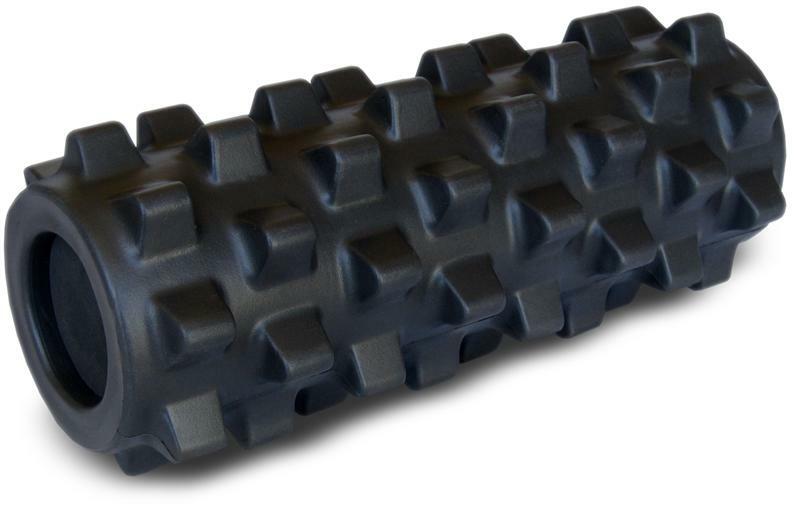 this requires you to hold on to both ends of the roller and by apply firm pressure and moving slowly thru your affected area will give you a intense and deep release! I would highly recommend to coaches or people with training partner to use this! Some of the Benefits of rolling! 1. 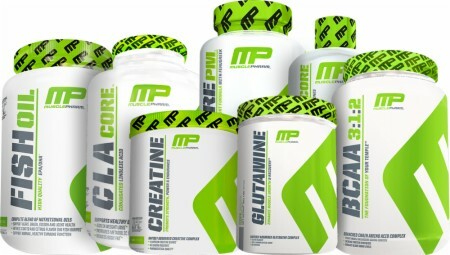 Maximizes Performance – Maximizes your sports performance by release tight muscle and fascia to provide you with a bigger range of motion during activities. This can greatly improve your power out put during exercise as you will be able to recruit more muscle fiber during activity. 2. 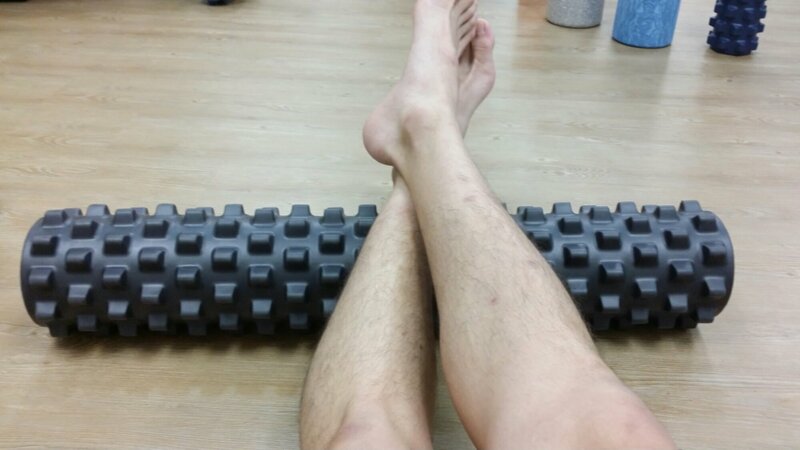 Accelerates Recovery and relieves soreness – Especially as workout, after rolling your fascia and tight muscle gets release which creates more blood flow and therefore better recovery! 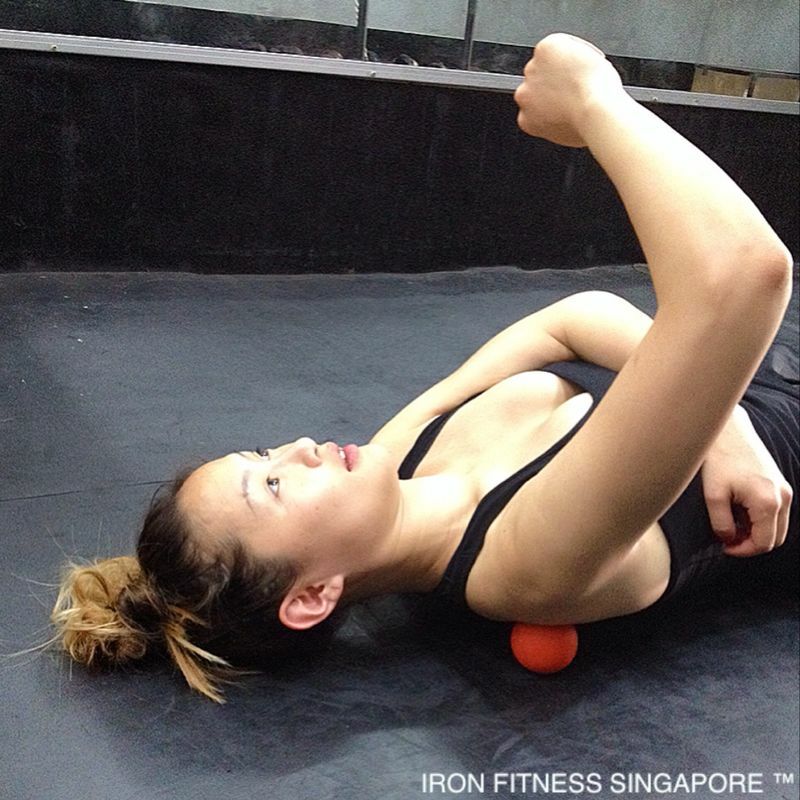 Hold Both end of the muscletrac roller and roll thru your trigger point firmly and slowly. Repeat for 10 to 12 times on targeted area to release the tension. More information on trigger point release. 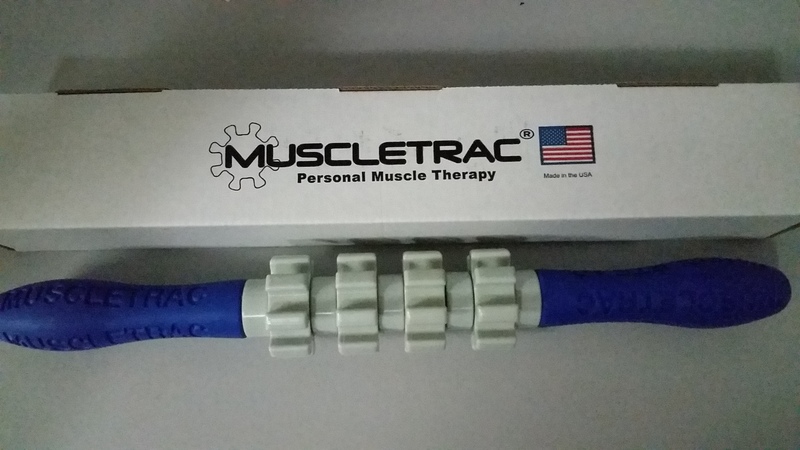 Selling this MuscleTrac Roller at only $79! Contact me at heechaiong@gmail.com for more information! 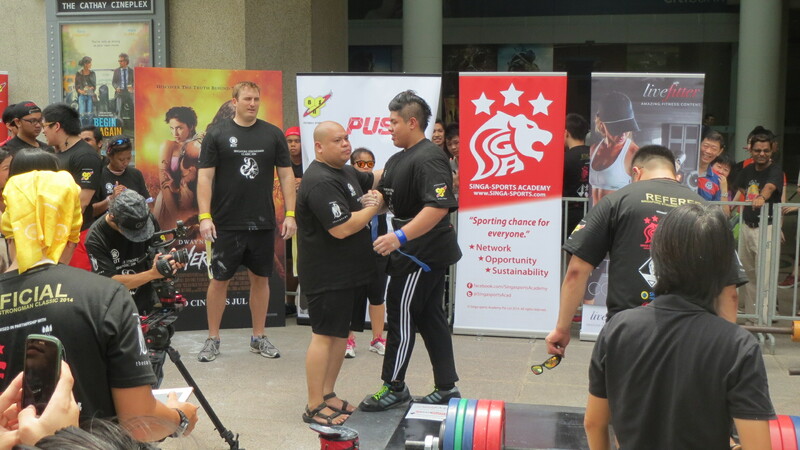 Author heechaiPosted on 31 May, 2014 18 April, 2018 Categories Article, Workout TipsTags muscletrac singapore, myofascial release, physio singapore, tight muscle release, trigger point release, trigger point therapyLeave a comment on Physio and Rehab – MuscleTrac Singapore! 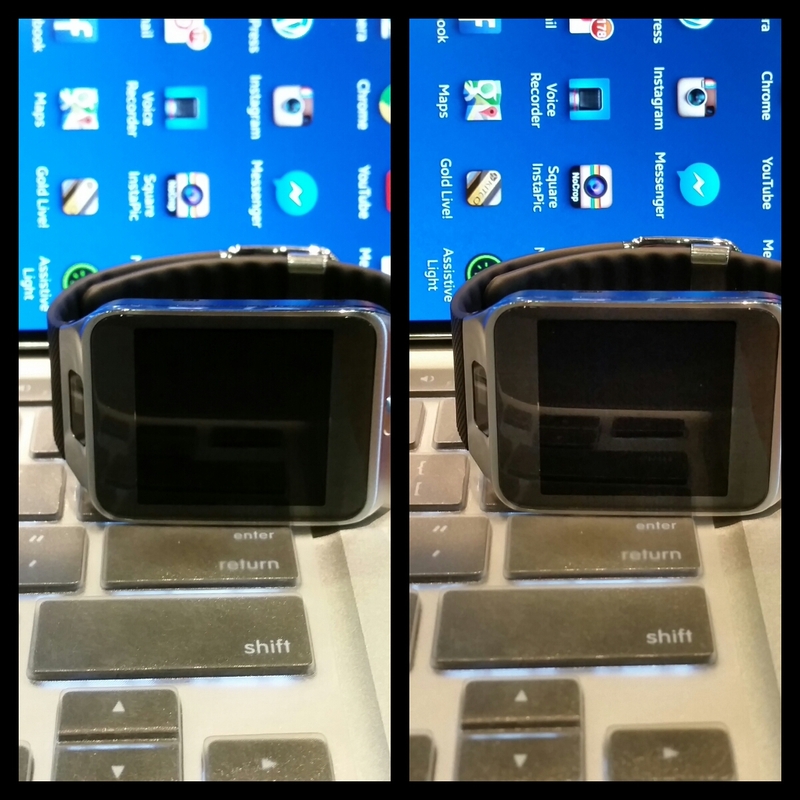 Samsung Gear 2 and Samsung GALAXY S5 LTE the Gear for Fitness Review! 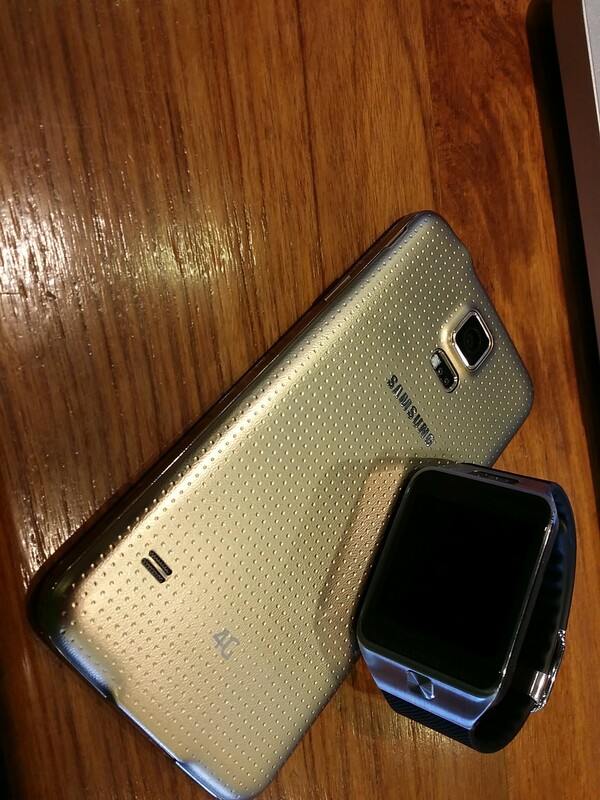 Been using the Samsung GALAXY S5 LTE and Samsung Gear 2 for the past 1 week and the experience was magical. I never ever have to worry if my phone gets into the water, or if my Gear 2 gets splashed on when I am washing my hands. Both devices are water resistant and dust proof. The GALAXY S5 LTE, coupled with a water resistant earphone jack, can stay underwater at a depth of one meter for up to 30 minutes. Battery low? I no longer have to worry when I run out of battery, even if it’s the last 10% of my battery life. With the Ultra Power Saving Mode, I can extend the battery life to up to 30 hours! 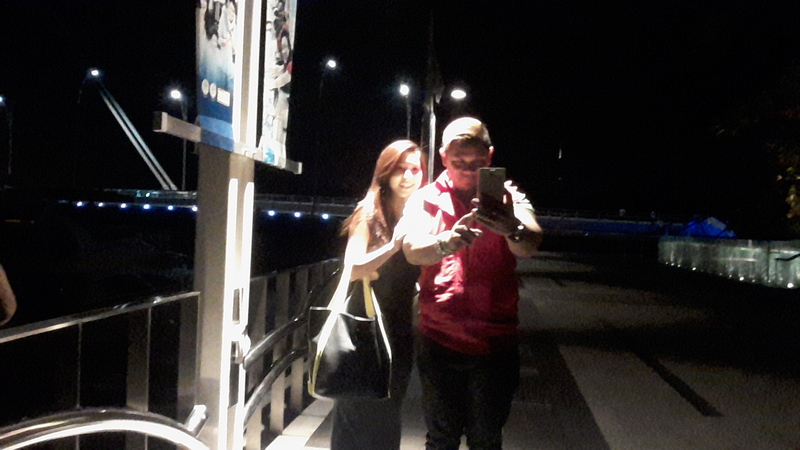 The best part is that I can still receive call, smses and whatsapp messages! I can even check my Facebook if I want to! 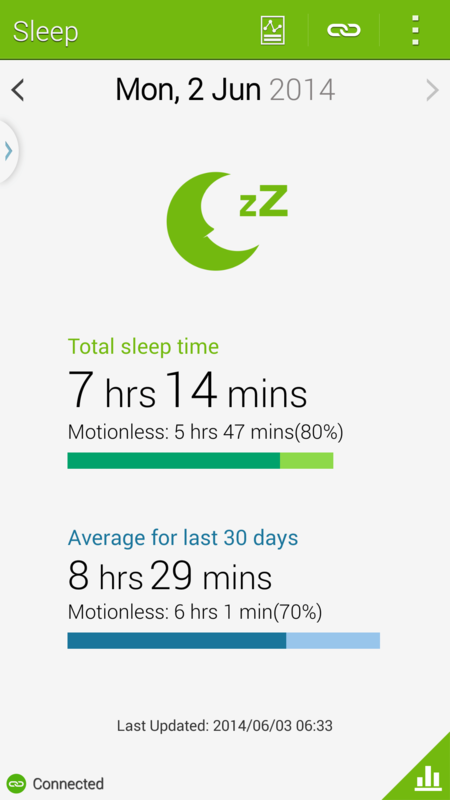 So far the battery life for both Gear 2 and GALAXY S5 LTE have been great. With only a single charge, my GALAXY S5 LTE can last me for 1 whole day even with Bluetooth on at all times and is continuously syncing with my Gear 2! As for the Gear 2, it can last me for about 3 days. Both devices charge quickly – it only takes about an hour and I’m ready to go! Like below the picture on the right is with HDR on! It is a bright and vivid 16 MP camera with lots of different smart modes such as Selective Focus, Beauty Face and Panorama Shot for you to use for different occasions. [The new Selective Focus feature allows users to focus on a specific area of an object while simultaneously blurring out the background. With this capability, consumers no longer need a special lens kit to create a shallow depth of field (DOF) effect.] With these capabilities, I no longer need to bring my camera out. 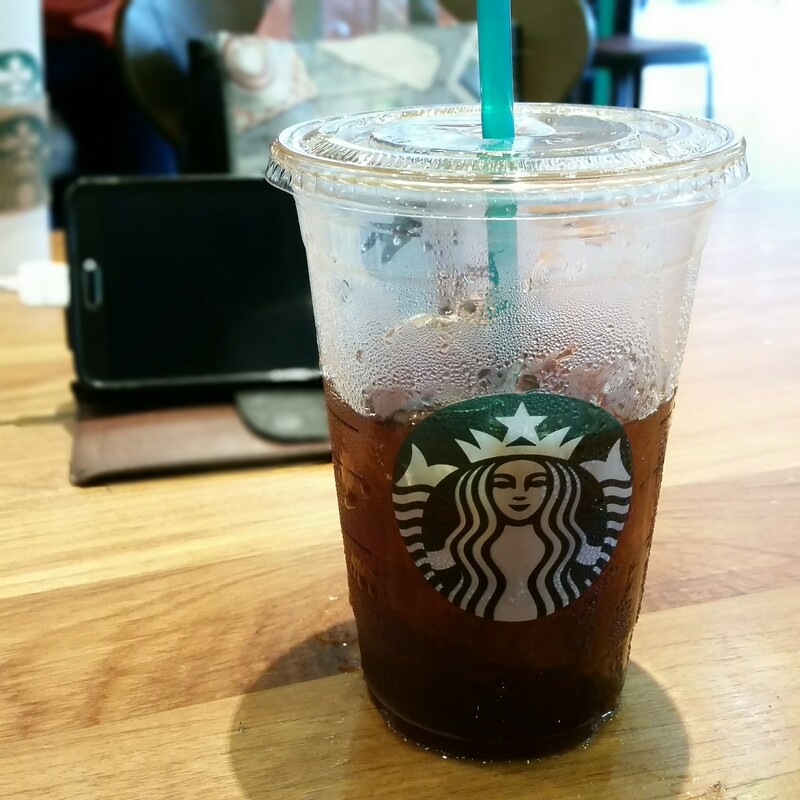 I can just use my GALAXY S5 LTE to shoot anytime anywhere. 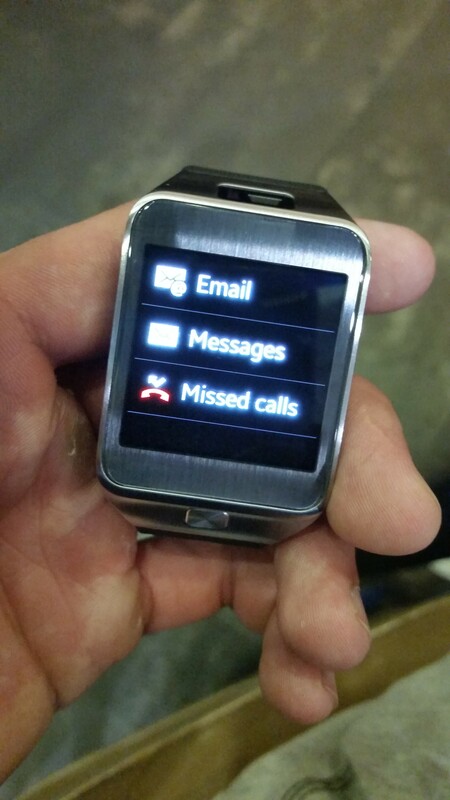 The Samsung Gear 2 comes with a 2 MP camera and 4 GB of internal memory. It’s light on the hand weighing only 68 grams, and I wear it to sleep all the time! The 4GB memory allows you to load your favorite music and listen on the go without bringing your phone out as it also functions as a standalone music player. 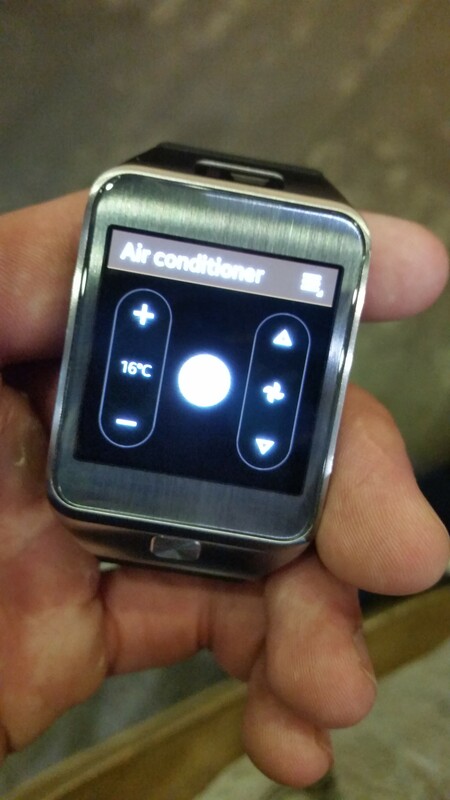 The Gear 2 measures my heart rate and helps me to track my sleep and steps I walk. Being able to track my heart rate whenever I want is important as this helps me to gauge if I am training at my optimal level. Both the GALAXY S5 LTE and the Gear 2 are fully customisable and user-friendly. Do check out my upcoming post where I will be talking about how the applications in these devices can help in keeping our lifestyle healthy! Author heechaiPosted on 25 May, 2014 18 April, 2018 Categories Article, Workout TipsTags advanced Real Time HDR, samsung fingerprint to authenticate, Samsung GALAXY S5 LTE, Samsung GALAXY S5 LTE Review, samsung gear 2 camera, samsung gear 2 neo, samsung gear 2 neo review, samsung s5 camera, smart mode Selective FocusLeave a comment on Samsung Gear 2 and Samsung GALAXY S5 LTE the Gear for Fitness Review! Vibram losing lawsuit 2014, lets support vibram by not claiming! About the recent vibram lawsuit that has been circulating in all social media, i am standing with vibram and i am not claiming for the product even if vibram lost the lawsuit as i benefited so much from this product. Vibram was sued by a lady who used the shoes and got injured. Her case for sueing vibram is not that she got injured but she claims that vibram made false claims that the shoe could help reduced risk of foot injury and strengthened foot and leg muscles and therefore she made the purchase. Now she wish to claim back on her vibram. For full details click here. Previously i did a review on Vibram, you can read here. However i didn’t state much about how barefoot running has benefited me and now i would like to make it up for that post. The first run with my vibram, was a painful one(advise : start by walking, dont be a idiot and run like me). Normally i could run 10km easily but with vibram, i couldn’t even complete a 4km. I was getting intense ache from the bottom of my calf the next day after my first run. Now that is a weird area to ache which i never experience before! So i when on to research and realize why is it good to run barefoot. As a human, it is only natural for us to get the most comfortable position or its our natural instinct to survive better by conserving energy used as well. When we have cushion shoes, our body automatically starts to adapt and rely on the cushion for support instead of using our very own muscle and joints for cushion. As time goes by, the muscle gets weaker as it is used less often (common theory for muscle if you dont use it you will lose it). For the running stance with a cushion shoes. you will often land on your heels and the curve on the shoes will transfer your energy forward and you save energy on this. This movement shorten your range of movement for your calf, imagine doing a calf raise when you push from your heels (you cant). So this causes your calf to get less develop and muscular imbalance occur. Your Shin muscle start pulling as your rear calf muscle is weaker now and there shin splints. Imagine yourself barefooted now, and you are out for a run. Landing on your heels will cause you immerse pain! So you got no choice but to change the running style, you start to adapt and land slightly to the fore of your foot, and you realize you are unable to run efficently tiptoeing so you change again and there you got the sweet spot! Around the mid of the foot! Now you got the running style, imagine doing a calf raise using the mid of your feet, a full calf activation! That is why i get a intense ache after running with vibram! I will only touch on the calf part of the muscular imbalance here and there are many more benefit for going natural! But of course all these needs time to adapt! You are running or walking with cushion shoes for the past 20 years, it is only fair to give yourself at least 6months to adapt and see the benefit from barefoot running! I would like to thank vibram for coming out with such a great product and i will continue to support you! Author heechaiPosted on 15 May, 2014 10 July, 2016 Categories ArticleTags vibram lawsuit, vibram lawsuit 2014, vibram loses lawsuit, vibram pay moneyLeave a comment on Vibram losing lawsuit 2014, lets support vibram by not claiming! 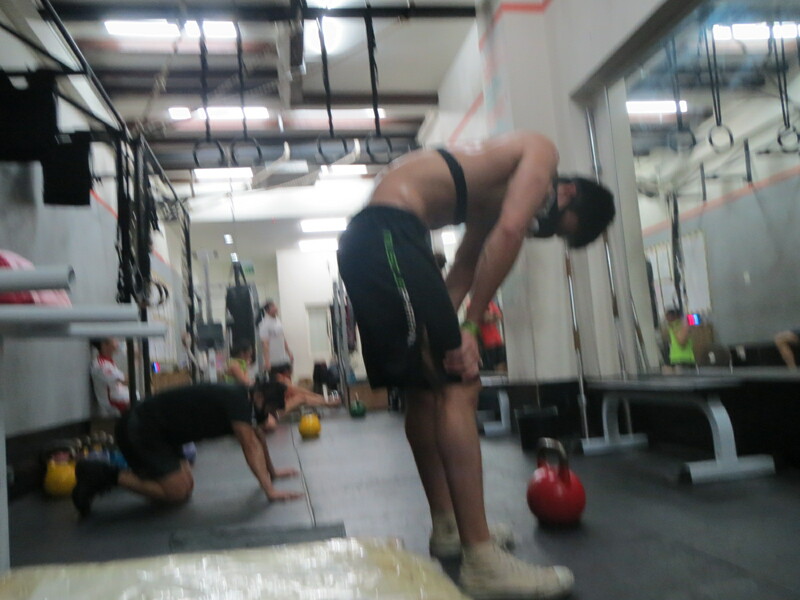 Do you have to go thru so much just to get fit? Engaging a Personal trainer, taking tons and tons of supplement everyday and watching your diet. Is all this necessary? I am writing this post because i heard a lot from people how they are eating clean, spending tons of money on a personal trainer, taking this supplement and that supplement but some how they are still not getting the results they wanted. Something is actually missing, we have been only looking at the physical points to get fit however is your mind ready for a fit body? 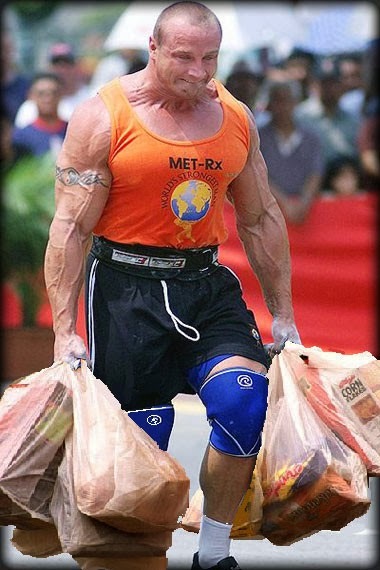 2. regardless of what supplement you are taking, or even steroid. without handwork put in nothing is going to work. 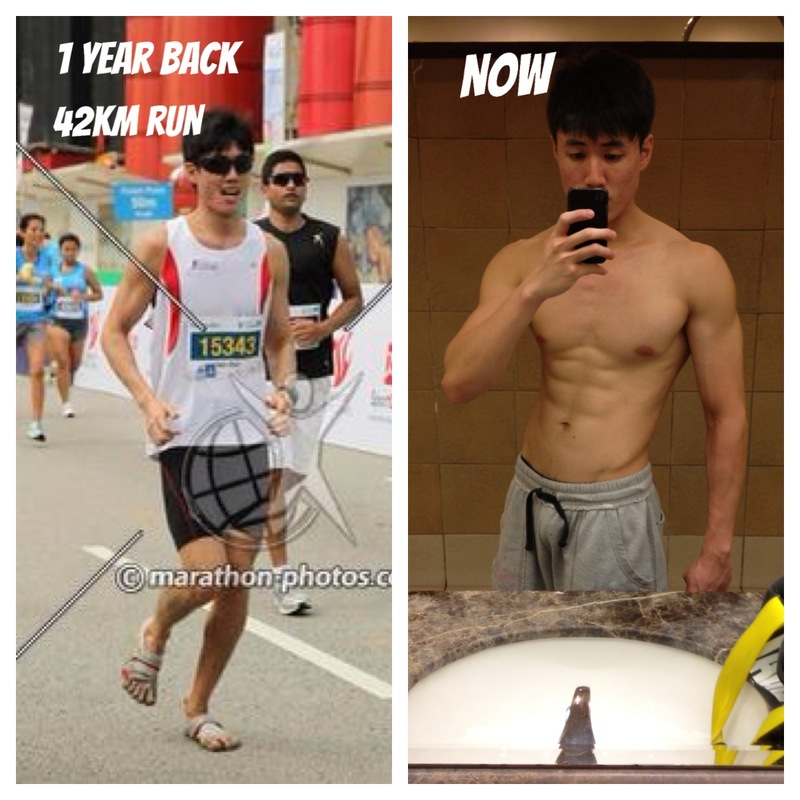 Muscle won’t grow just like this, they need hard training and proper nutrition! 3. Diet, most people often say, i am eating clean i am doing this doing that but why am i not seeing result and they quit the diet after 1 week or 2. You have been eating junk for the past 20 to 30 years, 1 week or 2 week of dieting is not gonna get you any where for sure! Change your mind, your body will follow. Picture your victory and you already won half the battle ! Stay Focus, your body goes where your mind flows. 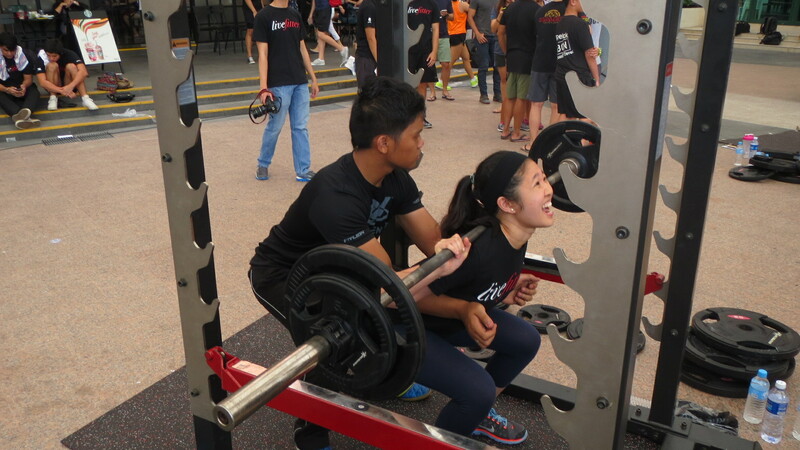 Author heechaiPosted on 10 May, 2014 18 April, 2018 Categories Article, Workout TipsLeave a comment on Do you have to go thru so much just to get fit? Your best friend for deadlift! 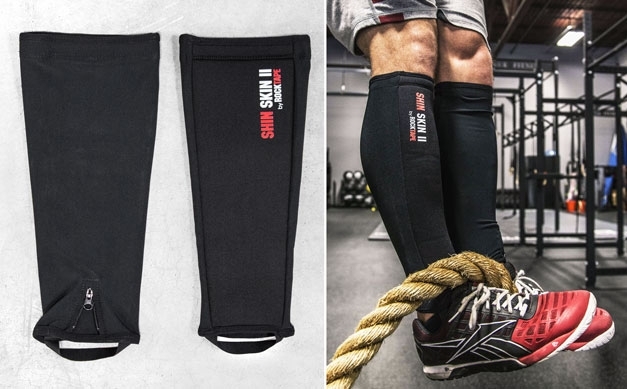 Your original rockguard to protect your shin when you are doing deadlift or rope climb during your workout. You can set your mind at ease when training, no matter how hard you rub against your rockguard you will be protected. Especially during intense game or training you dont want to get affected because your shin hurts. People who deadlift often uses high socks to protect their shin finds that their socks actually wear off pretty quickly. After using rockguard for 3 months it is still as good as new! Easy to put on and no slipping! 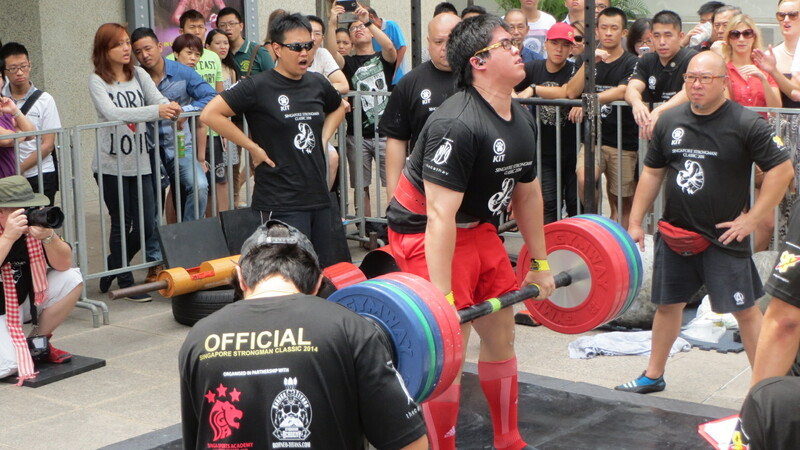 Author heechaiPosted on 7 May, 2014 18 April, 2018 Categories Article, Workout TipsTags protect your shin, rockguard singapore, rocktape singapore, shinguard singaporeLeave a comment on Your best friend for deadlift!